BIFF sorted itself into compartments pretty neatly this year. There were documentaries on extreme sports and climbing (Valley Uprising, Sunshine Superman); there were concert- and comedy-documentaries (Austin to Boston, Call Me Lucky). There were three programs of short films (including Orbit Ever After and Our Curse). And of the feature films, it seems like many of them were either Israeli or Jewish (Zero Motivation, Mr. Kaplan). I saw the first-ever 3D film projected at the Boulder Theater. Dreamworks Animation’s Home is about some well-meaning but kinda dumb aliens who take over the Earth. One young girl, Tip, escapes the alien suction tubes thanks to her cat, then she sets out to reunite with her mother. An alien outcast named Oh invites itself along for the ride. Coming soon to theaters near you are Human Capital, an Italian “network narrative” with overlapping threads in one-percenter-land and the middle class (the lowest member of society is killed in the opening scene, which inconveniences the members of the other classes). 5 to 7 is a surprisingly sweet romance between a young New York writer and a married French model a decade older than him. The film that won Best Narrative Feature is A Borrowed Identity. Apparently it played at festivals last fall under the title Dancing Arabs. This film is about an Arab Israeli young man growing into a circle of Jewish friends and growing apart from his family. My first impression was that I’d already seen enough Palestinian/Jewish dramas to last a lifetime, and that the film lost focus as it proceeded. But it really stuck with me in a way that a good novel does. Movies like Home have a simple, predictable arc, but the arc of A Borrowed Identity is more like a river delta — you start strongly in one direction, but many little demands distract you from your single focus. As you get older you lose power and energy but you gain a more healthy and nourishing breadth that spreads out into the world. 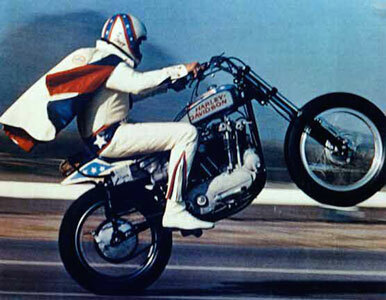 BIFF’s grand prize winner was Being Evel, a documentary about the motorcycle daredevil. After the film the crew was invited on stage and we learned just how Colorado it was. A classmate of mine from C.U. was the cinematographer (congrats, Robert!). Colorado director Daniel Junge won an Oscar for his short film Saving Face. And cowriter/editor Davis Coombe won awards, spots on Top Ten lists, and last year’s BIFF’s People’s Choice award as the director of Keep On Keepin’ On. I can’t even tell you about Alan Arkin’s visit. Who has time for for that? Some of us have movies to see! I learned that next year’s BIFF will again be held in March. For the first ten years the festival was held on Valentine’s day weekend, but I think I prefer it to be held a few weeks later. For those of us who do a little work behind the scenes, BIFF builds all winter long. There is an inevitable cliff after the festival ends, a sense of “now what?”. So being invited by the improving weather to go outside to enjoy the extended daylight (yes, this year’s festival coincided with Daylight Savings Time) seems like a natural transition. As the staff are fond of saying, only somewhat ironically, “This was the best BIFF ever!” And so will the next one.